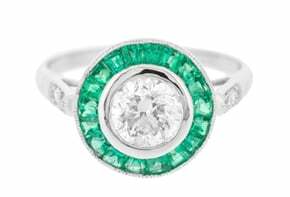 A classic design ring with an oval bluish green milky emerald with diamond trefoil shoulders. The stones are all recycled and set in white gold, while the band is yellow gold, with split shoulders. 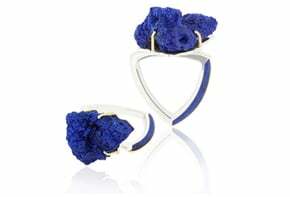 The ring, whetehr chosen as a dress or an engagement one is a fully ethical options having fairtrade gold and recycled gemstones. Also made to order with different stones.